You may have noticed the occasional error, particularly with the 1.5 firmware update. PS4 purchasers -of whom there are quite a few - started plugging in their new consoles after last week's launch. The first thing they all wanted to do was download updates, particularly the 300MB firmware 1.5 update that unlocks a ton of features and pretty much makes the console worth having, as opposed to an expensive paperweight. For many of them, this worked; for others, not so much, as heavy traffic caused difficulty connecting to PSN. "PSN seeing very high volume, some gamers may experience difficulty connecting," Tweets PlayStation. "Thanks for your patience." Some network errors caused difficulty logging into the PSN store, but Sony believes that this problem has been "mostly resolved now." The system went briefly down for maintenance over the weekend, but soon came back online. Hardware issues have also been reported, but Sony claims that these affect "less than 0.4% of shipped units to date," well within Sony's expectations. 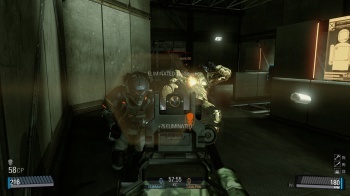 Some game servers suffered significant issues during launch, including Blacklight: Retribution and Battlefield 4. A message went out from EA claiming that all of Battlefield 4's issues - and any other games' issues, for that matter - were related to the 1.5 firmware update, but EA has since said that its original statement was "posted in error." EA suggests that anyone in difficulty should check out the PS4 Information Hub.